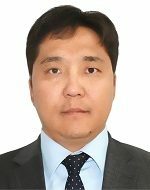 Tsogtbayar Tamjid is deputy CEO at Erdenes-Tavantolgoi JSC. He previously was head of strategy department in “Just Group”, CEO at FCX LLC, board member and chairman of Securities Traders Association, director of department and auditor general at National Investment Bank, CEO at National Investment Tower LLC, adviser to the Parliament member of Mongolia and adviser to the Minister of Mining and Heavy industry. He obtained his BA in Business Administration in Khan-Uul University, Mongolia and IMBA in National Cheng Kung University in Taiwan. Erdenes Tavantolgoi - Upcoming IPO. The presentation is about Erdenes-Tavantolgoi JSC, one of the largest coking coal deposit of Mongolia. The company is listing its 30% of its shares in domestic and international stock market. The company's performance has been growing since its establishment in 2010.